Will the internet become as mired in disputes as the smartphone industry? Facebook and Yahoo's months-long patent battle could soon come to an end, as the two companies are currently engaged in peace talks aimed at reaching a settlement. 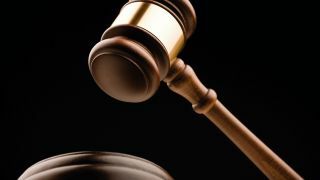 Yahoo's attorney Kevin Smith recently requested that the federal court grant the the companies more time to negotiate. "The parties are currently engaged in settlement negotiations to resolve this dispute," Smith wrote. "The parties believe that a further extension will facilitate settlement." Facebook and Yahoo's patent battle began in March, when Yahoo brought a suit against the social media giant for allegedly infringing on 10 of Yahoo's patents. "Facebook's entire social network model, which allows users to create profiles for and connect with, among other things, persons and businesses, is based on Yahoo's patented social networking technology," Yahoo claimed. Yahoo even used the term "free riding" to describe Facebook's success. In response, Facebook counter-sued in April, alleging that Yahoo is in fact violating 10 of their patents, several of which were apparently purchased rather recently. All the while, Facebook professed their innocence, as they continue to do. Neither party has come out looking particularly innocent, though. Yahoo blundered last month when an important document their lawyers claimed didn't exist turned out to very much exist. Facebook, on the other hand, has been accused of snatching up patents for the sole purpose of retaliating against Yahoo's suit. Hopefully, this farce ends soon, or the internet could become as bogged down in legal battles as the smartphone and tablet industry currently is.